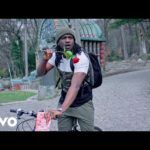 One half of the already disbanded boy band, P-Square, Paul Okoye aka Rudeboy is nothing short of amazing as he displays his vocal capabilities on this new number titled Reality. 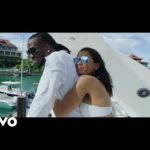 On this one, the singer does some real life situation checks stating that no matter the kind of love you serve to a loved one, it’s difficult laying ones life for them. Also, this song passes as a record used in apologising to a hurt partner. This comes up shortly after his previous single titled Ifai, which did an awesome work on the charts. 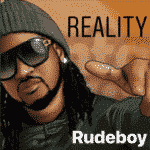 “[Song] Rudeboy – “Reality””, 5 out of 5 based on 1 ratings. 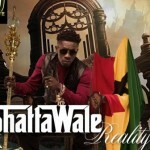 The best musician outa Africa… mad tune!!! Stufs on king.. Always giving us a legendary waves ? ? It is about life, living and loving. It is about being human. Excellent song. On repeat. Rudeboy is ready for this summer tour. Ruudy I wish other new artist go follow your step to make Nigerian music great again. King Ruddy…. u too much bro. More Songs in ur Vevo. Rudy…Rudy…King Rudy. Song full of passion and emotion that it comes alive…like REALITY which is the song title. 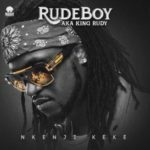 haters leave rudeboy now.I love this.We need more of this.No be to they copy other songs and be claiming it is allowed even on TV.U are unique rudeboy. I just can’t stop playing this song. Those complaining of king Rudy using p square tunes, u forgot that he is p-square himself. U have shown us ur class in the Music Industry, keep it up. I agree with those specifically hit the nail on the head. However, twice remain loveable partner. Their love goes on even they no longer together but they can come together and do what they known best in business wised. I want to straighten the record, they are mature to get on with their lives. People should stay out of their business. Dope song and good cool beat daddy. More grace and love injn Amen. If you’re a musician you will understand what I’m talking about. RUDEBOY is talented when it comes to music, he’s a super star and his not adding any voice filter or edits to his voice but his brother Mr.P is using a voice filter and edits and his voice looks artificial. Check my head, check ebeano and the rest by Mr p the voice is wack but the video is dope. Please let’s face reality ? king Rudy…….. u always on point with your lyrics….i can’t jez stop loving you. Bros na u be psquare! 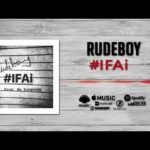 Rudeboy all the way this song has been on repeat ever since I heard it. i really luv ur all ur music with passion, infact u are the real p square himself, i wish i can collaborate with u someday cos u are my idol. I don’t want Mr p or rude boy, I want p square back, twins are powerful even in the Bible, what ever it is you both are unique no matter the difference, think about your parents who has laid their life’s for you, forget about what you hear or what so many have said, I don’t even care what the problem is but what matters to me is you both are p square ( get squared) @ chuks Terence…. you are the best out of them all, king Rudy. d two of u are fools, and ur wives are the most stupid women u have, make up with ur bro, two heads are better than one, u both are the psquare,this is the reality. En nw u have made everyone 2 knw d u cn do witout each other. even d bible says be ur brother ‘s keep, just 4get Wat Eva d issues maybe an bring back piece in ur family. dis mata BTW u and ur brother is no longer a family mata Becos hence u keep going solo so d world keep as why. finally he can do it without Mr p, u r indeed rudeboy, and I’d always follow the right person. You finish work here Kind Ruddy. I thought I was dreaming the first time I heard the song, never knew it was a REALITY. GET BACK TO PSQUARE YOU WERE SINGING GOOD SONG LIKE AWAY. remember all the singing wen they are still p square was written by rudboy and remember Mr p only specialized on dance alone so check d voice of rudboy den and check DAT of Mr p too and you will see who is the main owner of d voice…..
Rudeboy ur the bast, but My guy Remenmber say enmy is every where,thy mey throw you ponchw.but who God don bless e don bless am, we the good fans we still dey your back noting do you, remen bless.